The competition is held to promote and develop regola in Russia, identify the strongest teams, promoting sportsmanship, developing and strengthening sports ties between the two regions. 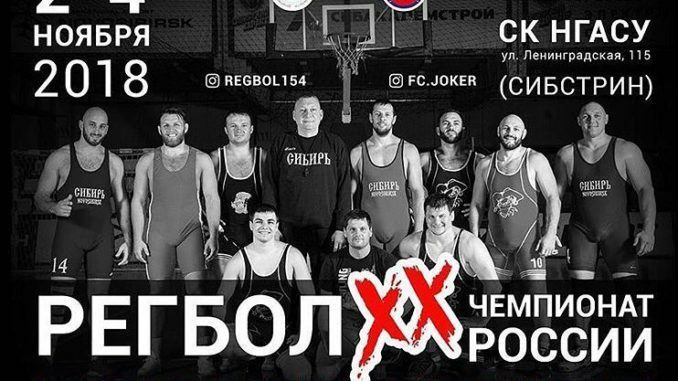 Organizers of the event are Russian public organization "Russian Federation of regola" Department of physical culture and sports of the Novosibirsk region, Regional public organization "Federation of Regola Novosibirsk region". Allowed to the competitions strongest teams of the constituent territories of the Russian Federation. Team – 18 athletes +1 coach +1, +2 judges. The application for the game must be certified by a doctor. Team must have knee pads, elbow pads and two sets of forms of different colors. November 4 – team competition, finals, awarding ceremony, departure of the teams. health insurance or contract of insurance athletes participating team. The team, who are not authorised doctor athletes in the application for the competition are not allowed. In the application should specify the exact number of participants, coaches, referee and team officials, dates of arrival and departure. Conducting organization is not responsible for accommodation of participants according to preliminary applications received after the deadline. In connection with the jubilee Cup this year, released medal "20 years of Russian regball" that will be awarded to the most distinguished leaders, experts and athletes of the Russian Federation Regala, its regional branches and organisations under its supervision, as well as other persons who have made significant contributions to the development of regola in the Russian Federation. +7 (913) 901-77-27 Zhornokl'ovy Dmitry Vladimirovich.